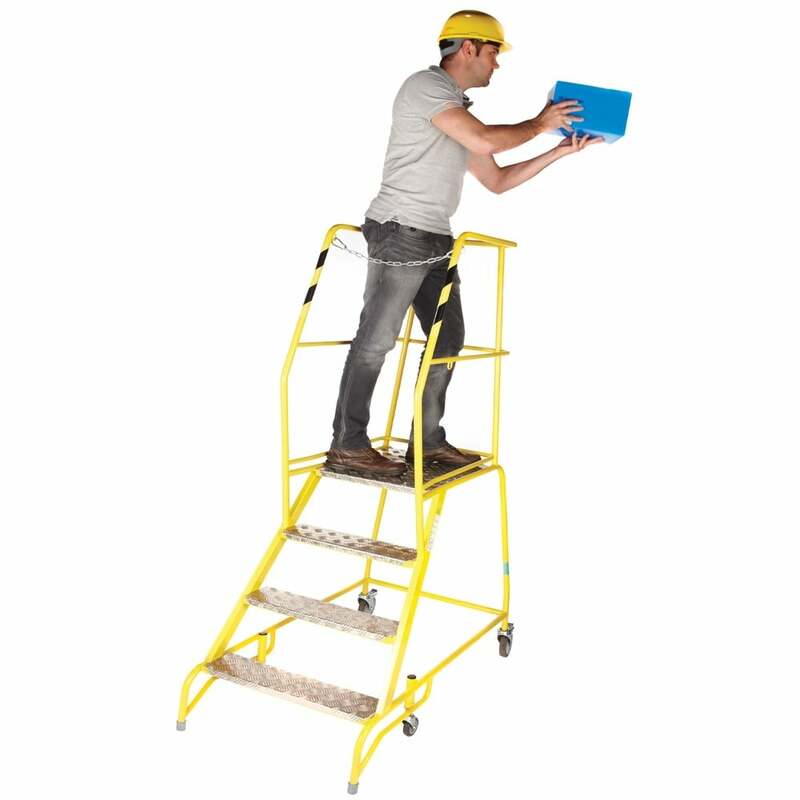 Large working platform with additional safety chain allowing 360º working area. Fully welded tubular steel frame construction with tough epoxy powder coated finish. Large working platform with aluminium tread surface, incorporates a chain with snap/lock carbine hooks at the entrance to give the operator additional safety. High platform handrail with mid rail & kick rail for added safety. Aluminium anti slip design treads. Mounted on 2 x 125mm rubber swivel braked castors and 2 x 75mm spring loaded castors. Castors retract when weights applied to give a firm grip when in use.